Hello my name is Charles Arkenberg and I am the SPL (Senior Patrol Leader) of Troop 2319. I am almost 16 and and have been in Boy Scouts for 5 years and have been in 4 separate troops. I am a Life Scout and plan to make Eagle this year. I attend Lassiter High School and am a sophomore. When I’m not at scouts I usually tinker with my computer or hang out with my friends. One of my favorite things about scouting is meeting new people and being outdoors. 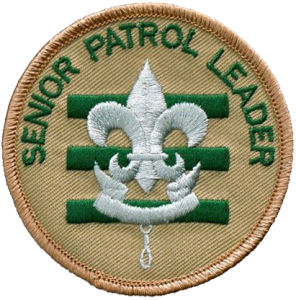 My mission as SPL is to help the younger scouts rank up and get all scouts to work on more merit badges. I want everybody to fully enjoy scouts and have fun. I want all the scouts to work hard on rank and merit badges. I also want the patrols to start doing outings together like patrol camp outs or any other outings. I also want summer camp to be a lot of fun and a great new experience for younger scouts. I hope to have a great term with all the scouts and set a good example for them.